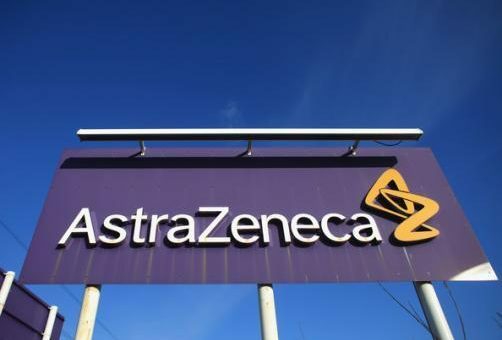 AstraZeneca (AZ) has confirmed it is in a talks to buy privately owned Acerta Pharma, with reports it could pay as much as $5 billion. Headquartered in the Netherlands and with operations in California, Acerta is not well known, but AZ believes its cancer pipeline could be worth billions. Acerta has no drugs on the market yet, but its lead candidate acalabrutinib (ACP-196) is a second-generation, irreversible inhibitor of Bruton’s tyrosine kinase (Btk) – a molecule deliberately designed to go one better than Imbruvica, the blood cancer treatment marketed by AbbVie and Janssen. Imbruvica is tipped to hit sales of $5.5 billlion by 2020, and it and other pipeline molecules were enough for AbbVie to pay out a whopping $21 billion to acquire the biotech firm behind it, Pharmacyclics, earlier this year. AZ is on the hunt for a cancer blockbuster of its own and, despite having a number of promising late-stage molecules, is looking for more to bolster its franchise. The Anglo-Swedish pharma company could be prepared to pay $5 billion for Acerta, despite acalabrutinib only being at the phase I-II trials stage. The size of the pay-out is likely to be linked to further milestones in the drug’s development. Acalabrutinib was rationally designed to be more potent and selective than Imbruvica (ibrutinib), and Acerta is currently developing the drug not just for multiple haematologic malignancies but also for solid tumours and rheumatoid arthritis. Acerta presented phase I-II data on the drug in 61 patients at the recent American Society of Hematology (ASH) meeting in Orlando, and published the data in the New England Journal of Medicine (NEJM). The drug showed a 95% response rate in the small study of patients with relapsed chronic lymphocytic leukaemia (CLL), slightly higher than Imbruvica. 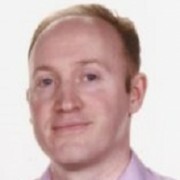 Lead investigator of the study, Dr John Byrd of Ohio State University Cancer Center, also said patients were tolerating the drug remarkably well, but acalabrutinib will need to show superior efficacy in later trials to mount a proper challenge to Imbruvica. Acerta is also developing ACP-319, a novel selective inhibitor of PI3k delta, which will rival another new agent in CLL, Gilead’s Zydelig (idelalisib). Speculation about a buyout emerged late last week, including reports in the Wall Street Journal that the deal could be worth around $5 billion. AZ confirmed this morning its discussions with Acerta into “potential strategic options”, but said there was no guarantee a deal would be done. If the deal goes through, it will add to a string of mid-sized acquisitions, divestments and licensing deals made by AZ in the last few years. Just last month AZ agreed to pay $2.7 billion for ZS Pharma, a Californian biotech firm with a promising ion-trap cardiovascular compound. AZ’s chief executive Pascal Soriot needs to rebuild the firm’s sales, which will be hit again when its blockbuster cholesterol drug Crestor goes off patent in mid-2016. After successfully fending off the takeover advances of Pfizer in 2014, Soriot pledged to double total revenues to $45 billion (£26.7 billion) within a decade. This will require rapid success across the firm’s key therapy areas, respiratory, inflammation, autoimmune disease (RIA), cardiovascular and metabolic disease (CVMD) and oncology, as well as more limited investment in infection and neuroscience.